For many, me included, the last days of December and the first days of January call for reflection, a pause in the busy-ness and business of the season and the life to think back on the year fast drawing to a close and to look forward into the new year that shall remain unknown 'til lived. For A Veggie Venture -- what a year! It all started as a lark, truly, just a spur-of-the-moment decision to try -- without really thinking I'd ever do it -- to cook a vegetable in a new way every single day for a month. Just ONE month! The beginning was inauspicious. On April 1, I roasted some so-so cauliflower. On April 2, I lingered late in the garden and steamed a bag of frozen broccoli. And it took a few weeks to find my voice, to find a cooking/writing rhythm. But once I did -- my, what fun it all became, how much I started to learn. And that's what keeps me going -- that and the remarkable community of food bloggers and friends and family who encourage me and write to say when they love (or hate!) something they've made. In nine months, I've discovered oh-so-many favorite new ways with vegetables, so many that it's hard to keep track. So now I pick one recipe -- just one -- as the favorite of the month. Well, actually two favorites -- the single favorite side dish and the single favorite soup. December's Vegetable of the Month: What a difficult choice when there's this and this and this! 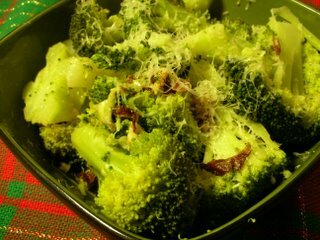 But in the end, I've picked Broccoli with Pancetta & Parmesan for delicious flavor, ease of preparation and healthfulness. 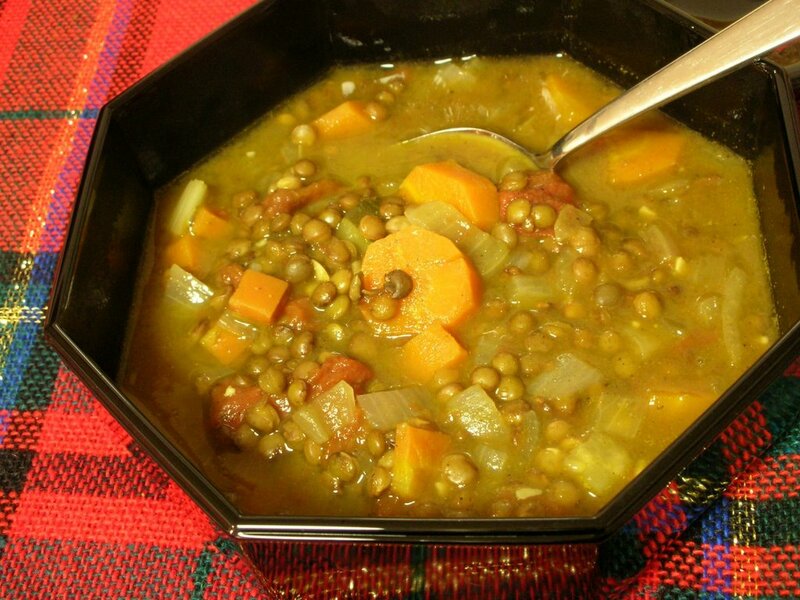 December's Soup of the Month: This one's easy, it's the kid-pleasing Lentil Soup Vincent. 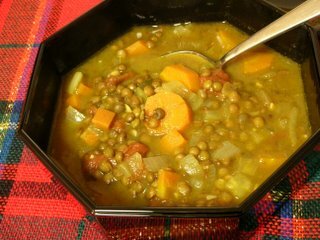 (Two years ago, my 13-year old nephew wouldn't touch lentil soup. Now he says it's his favorite!) It's hearty yet low in calories -- my Dad says it's one reason he managed to eat so many cookies and still only gain a half pound over Christmas! See everyone in the New Year!